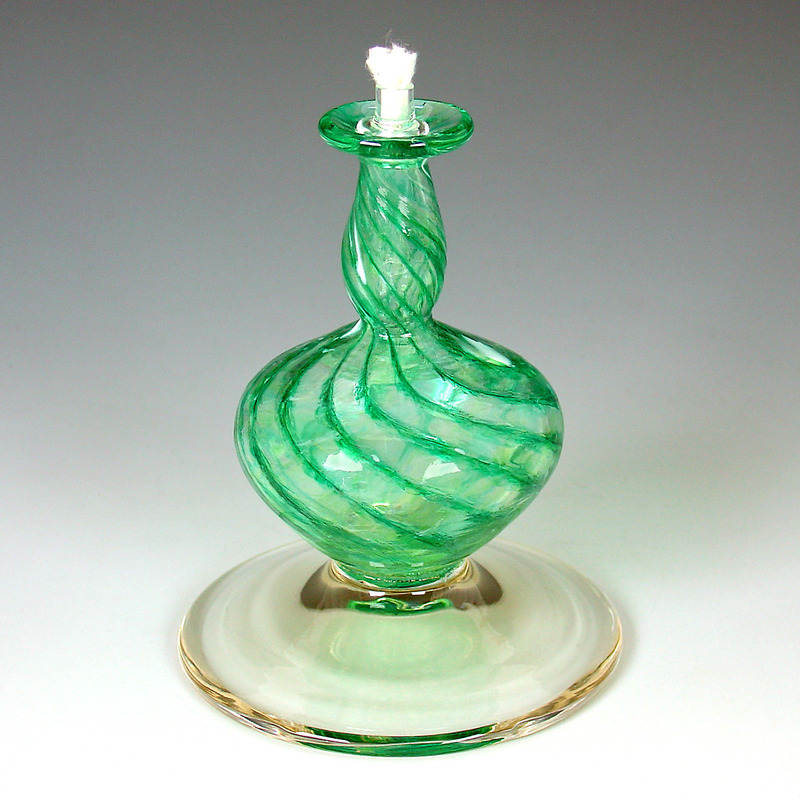 Free standing style with anti-tip base, this handblown, richly colored Emerald swirled/spiral pattern oil candle also features a fiberglass wick with pyrex wick holder for a lifetime of use. The candle will burn a variety of fuels, working best with paraffin based ones. May also be used with aroma therapy candle oils. Excellent functional accent piece and a most unique gift. Overall dimensions: 3.5"D x 4.75"H. WYSIWYG. OOAK.